If you are inside a mountain, you cannot see the mountain. This Chinese adage describes the limitations of living solely in one culture. When I read this, it speaks to me. Like the migrating Baird’s sandpiper, I live a life of changing perspectives, seldom completely in one place, neither inside nor outside one mountain. Thus, I’ve often asked myself: are there meaningful reasons for my being here and not there? I can only answer by asking more questions. Would I ever have stood completely enraptured by the scent of redwoods if I hadn’t left? Would I have turned to writing here to explore the shape my life has taken? Was my concept of beauty expanded by the bare Andes visible from my window? Over time, responses have revealed themselves to me. Yet, just when I think I’ve come to terms, another trip back to my hometown renders the answers fuzzy. Over the years, on each journey south along the Pan-American Highway, I’ve absorbed more of this country. One recent February excursion, I decided to keep a journal. I wanted to fill in the colors, contours and details of my inner sketch of this landscape. I was more than ready for my annual nature fix, although a two weeks’ sojourn would only satisfy temporarily my hunger for woods and streams. Santiago and I joined the exodus out of the city. An assortment of vehicles, many of dubious mechanical condition, pushing to the limits the number of passengers for which they were designed – sundry bags, bedding, mattresses, folding chairs and bicycles tied precariously to car roofs, gypsy-fashion – surrounded us on the highway to our destination: the little house at Llifén. This would be our last stay there. The partners in the lakeside venture had subdivided the property. One chose the lot with the house. We selected a lovely piece of land, close to the lake, and talked of building a cabin there someday. But as it was still a thirteen-hour journey, I feared ours was just dream talk. The day before we left, we’d argued about what stops to make along the way, both of us indecisive, lacking inspiration, wanting the other to decide. Santiago surprised me the next morning, suggesting we take our time, stopping to discover places we’d never seen before – no plan, no reservations, except for our usual stopover at his cousin’s cabin on Lake Villarrica. “I wonder if he noticed the sign back there for ‘Hercules Towing.’ Sounds as if they could handle any job.” I managed to tease a smile onto Santiago’s serious face. My chatter was intended to help keep him awake and break up the boredom. I poured coffee from a thermos and offered handfuls of trail mix. “We’ve never been there,” Santiago said, slowing down. I checked the map. The town was on the coast and not too far. “Fine”, I said. Soon it would be dark. Now was a good time to turn off; he was right. We descended a steep grade overlooking the town’s winking yellow lights. At the old Hostería de Constitución we were given the last available room, with lilac walls of textured stucco and a stained, brown carpet. We tried out the two beds. Santiago’s came complete with a flea. Flea dispatched, we headed to the hotel’s dining room for some local seafood: ceviche and sea bass with a shellfish sauce. Then, a familiar voice –Tony Bennett crooning “I Left My Heart in San Francisco.” I looked at Santiago and we laughed. Marrying Santiago can be purchased here. Waters rising, sink overflowing, feet in murky water, dirty water. She grabs a towel and leans on a cupboard and works her way forward, towards the door where water gushes round, but the door won’t budge. She’s trapped inside, water rising, brown dirty water. She jerks her head up, spies open rafters, reaches up, climbs onto the counter and she’s trapped, water rising. A nightmare; the water slowly subsiding as dawn surfaces, warm, sticky, breathless fear and her head’s spinning but she’s dry, mostly, the sheets damp and smelling of concrete and apple juice and has she been drinking? Did she knock over that glass, cause all this panic? In relief she laughs out loud and disturbs her husband who growls and she breathes a shallow breath and waits for his breathing to settle and with relief she hears him snuffle and turn over and now both he and the flood have found a comfortable place at the bottom of a trough, a plastic sheet lining its wooden sides. Water trickles down the sides, melts into the plastic lining and runs, gaining strength, as it gushes past her and she sits up, face screaming, hands over mouth to stop the noise but there’s only silence and the steady breathing of her husband and nothing left but the memory of a dream she thought she had conquered years ago. What sparked this recurrence? Menopause? Surely not. Menopause is a pause, not a state of being. How will she sleep? How will she find her way into bed each night and settle to sleep when she knows the flood is waiting for her? sharp as a cowboy with a lasso. Men are cuddly and have curly toes. Men let you snuggle, curled in tight against their side, caught up in the crook of their arm with your nose pressed against their chest. Men wash the dishes and take out the garbage. But never spiders. Men don't understand the lure of high heels. They think lipsticks are sticky and that perfume is poison gas, and that cosmetics turn you into a misguided femme fatale who doesn't realize how appealing she is in her naked, woman-scented barefoot skin. Men wear button-down plaid shirts. In winter they wear button-down plaid shirts made of flannel. Just like their fathers. Men don't wear turtlenecks until you give them one for Christmas, and then they spend 15 minutes in front of the bathroom mirror, turning their heads from side to side and preening. They don't ever look at floral Hawaiian summer shirts, even in the shops, until you buy them one for their birthday, and then you get into a terrible shouting argument and leave the room in tears. And then they wear it on the 4th of July to a summer concert at the Boston Hatch Shell and eight women walking by (he counts) stop and give the up-and-down double-take once-over, and when they call to tell you, they are rapt with admiration for their splendid taste. And then they begin to understand the lipstick, and offer to take you out shopping as long as it's for lingerie, and are happy to offer their opinions. Right in the dressing room, if you like. After that, it's a slippery slope. Six months later, men find themselves dressed for a costume party - bare chested, wearing a rhinestone studded collar and a velvet leash, pressed up against a bathroom wall while you apply mascara. They prefer not to tell their fathers. A single word may prompt a torrent of invective from one writer, a sea of flowing prose from another, and an uncommon tale of a curious child from a third. We can only lead ask, what else is in there? Santiago Writers’ Perspectives was winner of UK’s National Association of Writers’ Groups 2012 Denise Robertson Group Anthology Award. 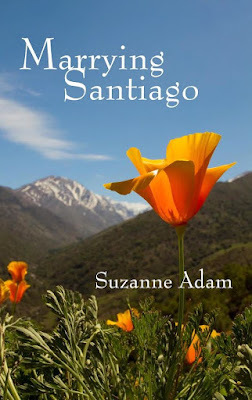 Santiago Writers’ In Transit was 2nd in the UK’s National Association of Writers’ Groups 2008 Best Group Anthology Competition. 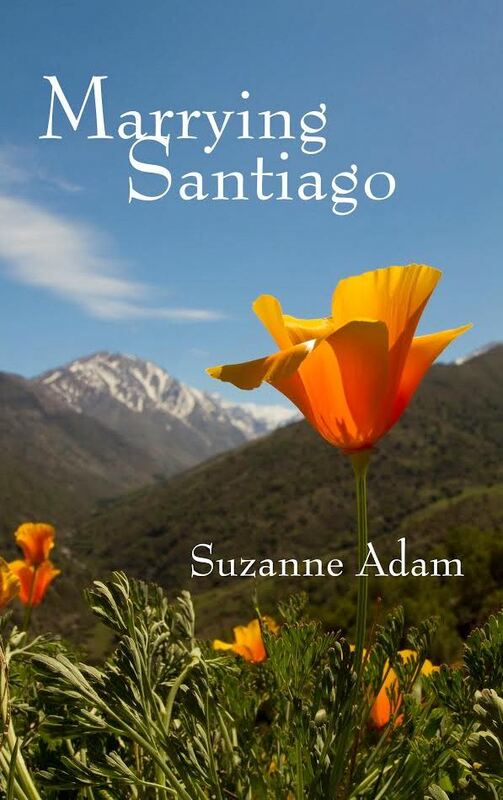 Santiago Writers' first anthology was released in 2004.